Celebrated Belgian detective Hercule Poirot is on holiday, but murder cases find Poirot wherever he goes. This time out, he’s investigating the death of heiress Linnet Ridgeway. 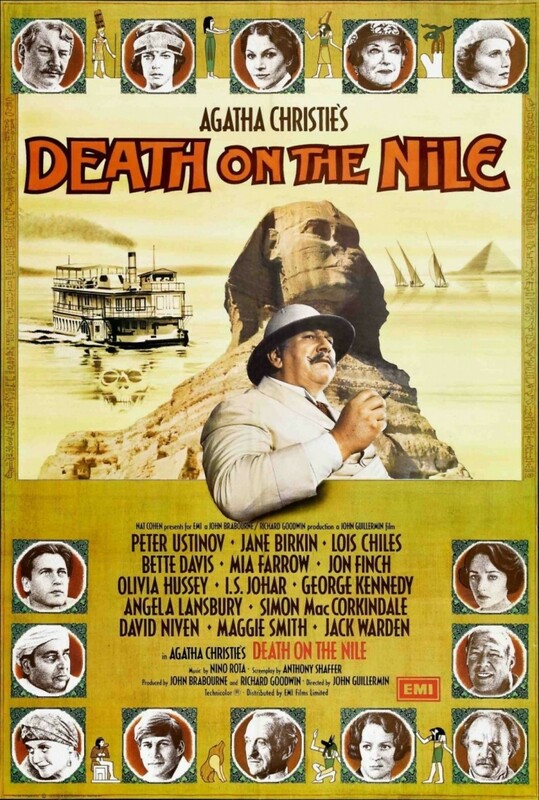 She was discovered shot in her cabin on board the S.S. Karnak, a paddle steamer heading down the Nile River. Many people had a reason for wanting Linnet dead. Chief among them is Jackie, the ex-fiance of Linnet’s husband Simon. Poirot knows for a fact that Jackie carried a pistol like the one used against Linnet. But others also fall under suspicion, including an elderly woman who wanted Linnet’s jewels, a lawyer who had embezzled funds from the Ridgeway business, a novelist facing a nasty libel suit and a maid who has been wrongfully treated.